I want you to know I am still learning. Of course, you probably realize that … we all are. But sometimes we get the mistaken idea that some of us … have got it all figured out. Nope. Just not the case. I woke up this morning to some very direct (I LOVE direct when it also comes with kindness, love and respect!) and pointed messages from YOU that you didn’t know what the heck I was talking about when I mentioned the Sisterhood Gift Box. Also, you let me know that you don’t like to watch videos. They sometimes take too long and you read your information at work, in waiting rooms, on your commute (as a passenger!) and so you need more words … less talking. And while I felt like I had really been sharing well lol … I am still really trying to set that balance between the messages I focus on, the content and training we offer in these messages and on our other channels, AND the fun products and offers we have that aren’t always free. I am dead against salesy messages. And as you are still telling me (thank you for not giving up on me, and still telling me!!!!!) While you appreciate that I refrain from pounding you into the ground with old school salesy nonsense … you um … don’t know what we are offering AT ALL. Oops. So bear with me, this message is a long one as I write out in a bunch of words WHAT the Sisterhood Gift box is all about, what our brand new coaching program add-on looks like, what the $99 includes, and everything that is connected to that. The Wild and Wise Sisterhood Gift Box is a quarterly subscription box delivered to your door every 3 months filled to the brim with beautiful handcrafted items by artisans. 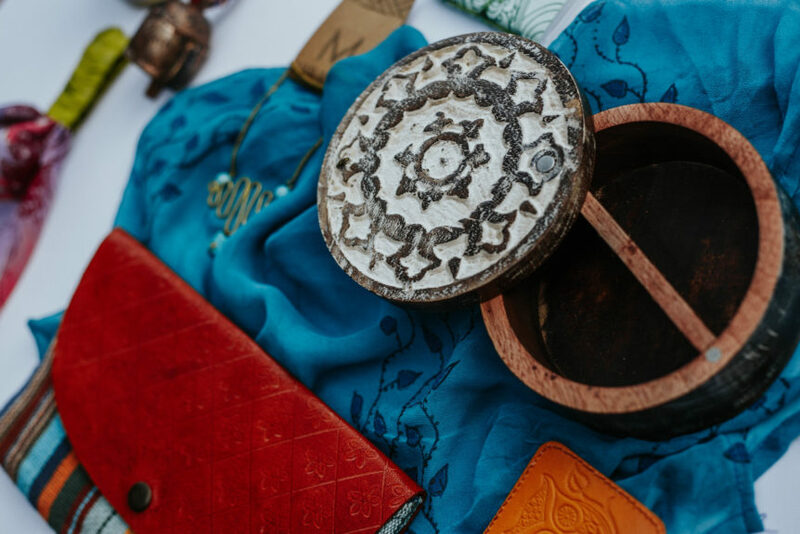 The items are all specially selected by myself and my team and we are talking about hand-stitched, hand-carved, hand-formed bags, accessories, decorative boxes, jewellery, energy bells, and more! And as love is in the details … we have poured alot of love into this box! Special notes from me, inspirational quotes, stories of the artisans and their traditional artforms … truly we have pulled out all the stops to make this the best, most meaningful subscription box on the market today. • Who you are, and how to honour who you have been and who you want to be. • Why cleaning up the clutter (physically, mentally, emotionally and spiritually) makes room for abundance of all kinds. • Finding that still place inside that will increase clarity, focus, confidence and peace. NOTE: The coaching program was an add-on that was requested by one of you. One of you who received the “10 Ways to Inspire Change” guidebook and journal. She asked if we would consider it (it being adding a coaching component to the Sisterhood subscription) … we said “Consider it? We’ll do it!” And that’s how that was born. No long-term contracts or commitments. Easy cancellation. Wild and Wise Sisters, I am just going to say this. Take a chance. Take a chance on me, I promise that what we are offering is not going to disappoint. And canceling is a super easy click of a button if it’s just not your thing. I will be there for you, as will the other Sisterhood members, the Sisterhood team, and the special guests who come to hang out. Make a difference. Ok … see what happens?? I just keep talking!! I’m done. Promise. PPS. 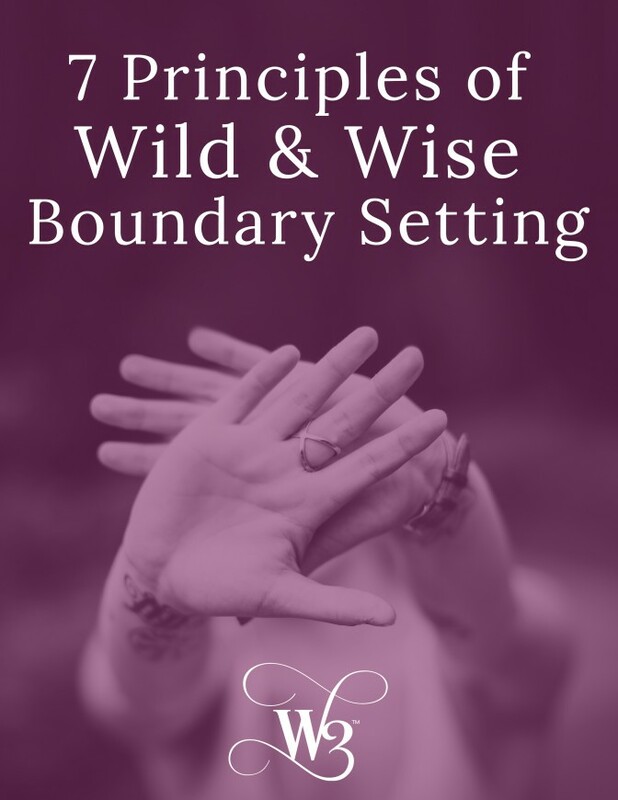 You will be added, as promised, to the Wild and Wise Women tribe that receives my inspirations, trainings, and personal messages via email. We wanted to give you a little time to get used to us all. 🙂 Look forward to seeing you on the other side too and hopefully as a part of the Sisterhood Coaching Program and Subscription Box! And remember, we are updating the site as we speak with the new coaching information so if it’s not there yet know we are working on it and you can start your subscription right away. You will be invited to the first Monthly Workshop on Being Your Best YOU and Living Your BEST Life with me soon.